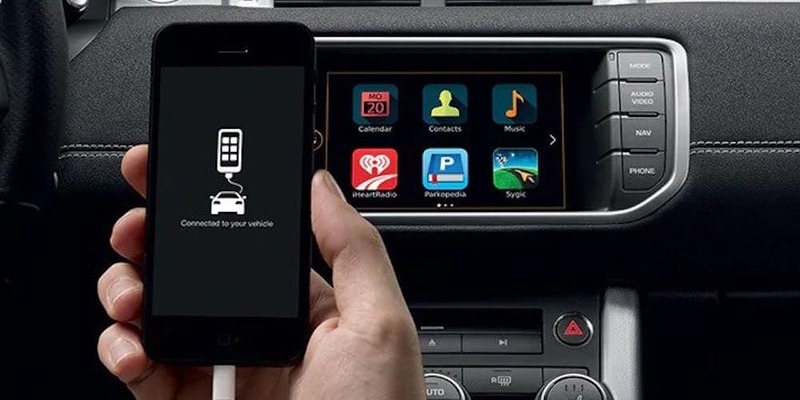 Land Rover InControl® Apps™ allow you to integrate apps from most Android™ and Apple iOS® smartphones with your Land Rover infotainment touchscreen. Find out how Huntington and Parkersburg drivers can enhance their commutes and road trips with this feature at Land Rover Charleston, and contact us if you have any questions! Even when you aren’t in your Land Rover, you can still interact with it via smartphone or Apple Watch® using the Land Rover InControl® Remote™ app. Effortlessly use remote engine start, lock/unlock the car, or pre-climatize your vehicle with the climate control function. Enjoy the latest security standards by using the app to track your vehicle remotely, or keep your vehicle in great shape with maintenance alerts and fuel level monitoring. When choosing a new vehicle equipped with InControl Apps, compare Range Rover family models like the Range Rover Velar vs. Range Rover Evoque. When you are ready to see this Land Rover technology in person, schedule a test drive at Land Rover Charleston near Wheeling!